“They’re beating you to loose balls, they’re rebounding better, they’re out-hustling you guys. That’s the bottom line.” During the third quarter, as the Lakers lead grew to 20 points (84-64), that’s what Doc Rivers had to say to his guys. Maybe hurting their pride would work. 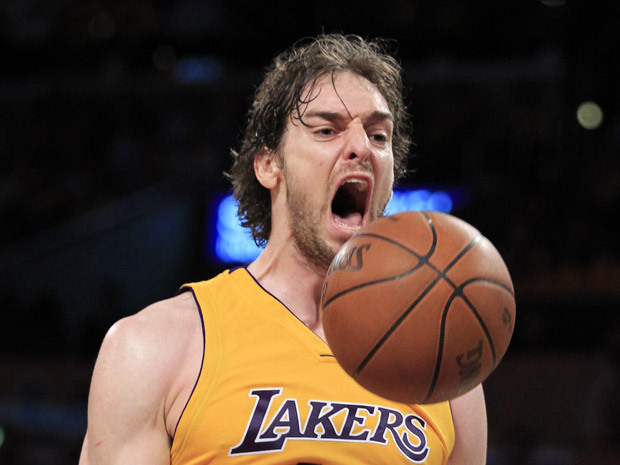 The Celtics looked a bit better in the fourth quarter, but it was never close, and after the 2-0 lead Boston took in the beginning, it was all Lakers, Kobe Bryant, and especially Pau Gasol. 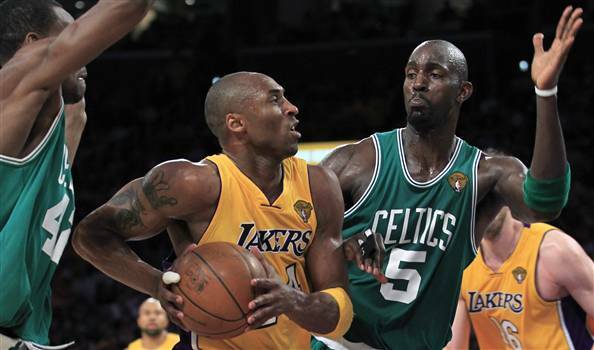 While Kobe Bryant had a slow start, Gasol led the Lakers to a 50-41 half-time lead, killing the Celtics in the paint on both ends of the court. He finished with 23 points, 14 rebounds and 3 blocks, making life very difficult for Garnett and also Rondo whenever he penetrated but couldn’t work the moves that went so smoothly during the series’ with the Cavs and Magic. Kobe? He woke up in the third quarter, scoring 14 points and finishing with 30 points after a wild three point shot in the closing seconds, his 12th 30+ game in the 2010 playoffs. After the win he said “It was all about the defence. Offense comes and goes, we won with D. Nothing else matters but a championship.” Pure focus. And he was right. The Lakers’ offense is very hard to stop, but the Lakers beat Boston tonight by rebounding better (a problem the Celtics have had all season) and by playing harder, which is something the Celtics find very hard to live with. Pierce was good (24 points, 9 rebounds), but he didn’t get much help. Garnett looked to passive, not going for open shots as much as he should have, Ray Allen was in foul trouble for pretty much the whole game and the omission – Rajon Rondo. Boston’s MVP this post season didn’t show up for the first half and looked more like in the last few games against Orlando than the Cavs series Rondo. Pierce will score and Allen will have better nights, but if the Celtics want to compete with the Lakers, they need their best all-around player to be in the game from start to finish. Rivers needs to energize his men, who looked, well, inferior on game 1. Maybe not everyone arrived, maybe the Lakers are just plain and simple better. It’s up to the Celtics to prove us wrong.